Experience. Quality. Results. Customer oriented. Effective. Promptly. 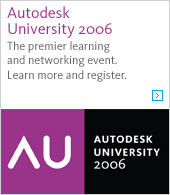 Members of the GEM team will visit Autodesk University. Feel free to contact us to schedule a meeting during AU. New design for the GEM Team Solutions Homepage. As a visitor of our weblog style website, you can now find more information about our diverse projects. To stay informed about news on the GEM Team Solutions webpage, visitors can subscribe to an e-mail newsletter (Info-Mail) or the RSS feed. Members of the G.E.M. team will visit Autodesk University. Feel free to contact us to schedule a meeting during AU. Especially for building material manufacturers G.E.M. Team Solutions now offers the integration of their constructional product details in the details component manager of the Autodesk Architectural Desktop. This new service can be found on a special web site (http://www.aecdetails.biz). Coaching (on site) and supporting the Ameri-CAD development team in software development using the Autodesk OMF (Object Modeling Framework) API. 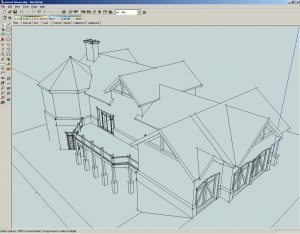 Development of an application to import SketchUp drawings into Autodesk Architectural Desktop. Drawings which were "sketched" in SketchUp are imported into Autodesk Architectural Desktop. During the import appropriate architectural elements like walls, doors, and windows are created. The drawing after beeing imported into ADT. Development of several exporter plugins for SketchUp. Among thos are for example the OBJ, FBX, XSI and 3DS exporters. G.E.M. Team Solutions celebrates it's 3rd anniversary. 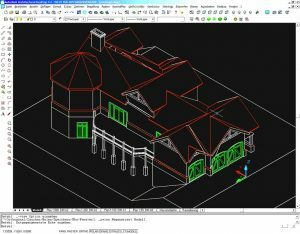 Therefore you will find a free tool in our Download section, that supports you in your software development based on AutoCAD®.